The World Council of Churches expects it to be "one of the most diverse gatherings of Christians in the world." It will take part in the South Korean city of Busan, when the World Council of Churches will hold its Assembly, a gathering of the global grouping of Christians held around every seven years. Heads of State are expected to attend with some organizers saying South Korean President Park Geun-hye is expected to put in an appearance. "Churches will engage in open and accountable conversations," from October 30 to November 8, the WCC general secretary Rev. 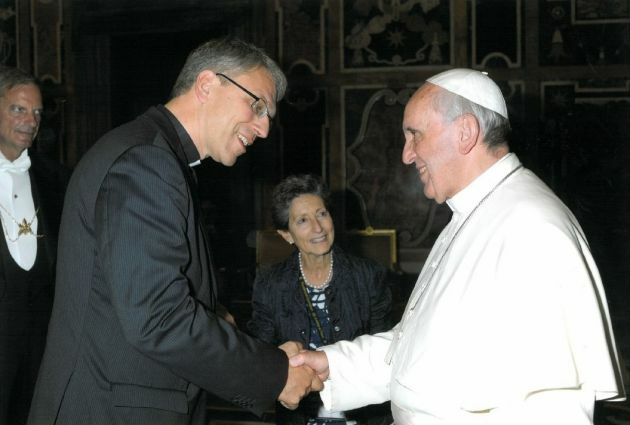 Olav Fykse Tveit said in a statement. The issues on the agenda when some 3,000 participants meet in Busan will include mission and evangelism, faith and order, justice, peace and unity. Busan is the largest port city in South Korea and the world's fifth busiest seaport by cargo tonnage as well as having the longest beaches and river on the Korean peninsula. 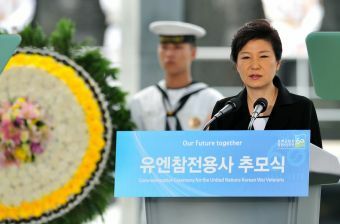 (Photo; REUTERS/Jung Yeon-Je/Pool)South Korea's President Park Geun-Hye speaks during a commemorative ceremony for the U.N.-Allied Nations Korean War Veterans, ahead of the 60th anniversary of the end of the conflict, at the U.N. Memorial Cemetery in Busan July 22, 2013. The venue for the 10th WCC Assembly will be Busan Exhibition and Convention Center (Bexco) where one of its first superstar performers was Mariah Carey during a world tour in February 2004. Busan often plays second fiddle to Seoul, the capital of South Korea, but it is the second biggest city in the country with a population of more than 4.5 million. Tveit said dialogue will be significant for the WCC assembly as "justice and peace imply effectively addressing core values of the kingdom of God, the will of God, the creator." "What will happen here in Korea will be a unique moment in the worldwide Christian ecumenical movement," Roddy MacKenzie, an Anglican journalist from Vancouver in Canada, wrote on October 22. 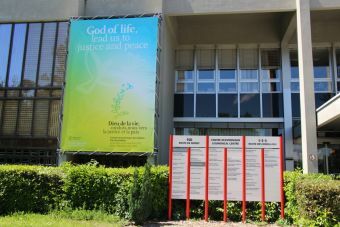 The WCC, which is based in Geneva, Switzerland, brings together around 560 million Christians, most of whom are Protestants, Orthodox or Anglicans from 110 countries. "Roman Catholic Christians do not belong but The Vatican is sending Official Observers and His Holiness Pope Francis is showing awesome interest in Ecumenical Christianity, just as did Pope John XXII a half century ago," wrote Mackenzie. Tveit noted having the assembly in South Korea is significant, as it "will be a place for the global fellowship of churches to express solidarity with the Korean churches, which have suffered separations and are calling for the reunification of the divided Korean peninsula." (Photo: Ecumenical News / Peter Kenny)World Council of Churches 10th Assembly poster on June 13, 2013. Tensions have run high on the Korean Peninsula at times during 2013 heightened by actions around North Korea's suspected development of nuclear power for mililary purposes and military exercises carried out by South Korea and its military ally the United States. "Our objectives (in the WCC) are to work toward this peace and reunification," Tveit said following a September visit to North Korea during which he met with newly appointed church leaders of the Korean Christian Federation (KFC) and leaders of the North Korean government. The assembly is the highest governing body of the WCC a body which not only seeks Christian unity as a key goal but often acts as a facilitator to inter-faith dialogue using it as a tool for conflict resolution. The first took place in Amsterdam, Netherlands in 1948, shortly after the end of World War II, bringing together Christians after the biggest war humankind has experienced. After that assemblies were in held in Evanston, United States, 1954; New Delhi, India, 1961; Uppsala, Sweden, 1968; Nairobi, Kenya, 1975; Vancouver, Canada, 1983; Canberra, Australia, 1991; Harare, Zimbabwe, 1998; and Porto Alegre, Brazil, 2006.